One of Mark Zuckerberg’s key New Year resolutions for 2016 was to build his own “simple AI bot” that could help him with the household tasks. Remember the image of the butler, Jarvis from Iron Man? That’s a classic Hollywood example of how AI works. But, what precisely is Artificial Intelligence and how can it solve the most common UX problems today? Artificial Intelligence (or AI) is an advanced human-like computerized system that has the ability to intelligently manage the activities and systems which humans usually do manually. While bots like Apple’s Siri and Amazon’s Echo are programmed to take on our most mundane tasks, bots like Google’s Deep Dream are inherently creative, helping users in problem-solving, thereby improving their experience. Handle data explosion – With the advent of smartphones and mobile devices, comes the explosion of data. As the amount of data grows, it is pertinent to have an AI system to analyze, process, organize, and interpret the data. The ability to decipher our intent – Netflix can predict from your behavior what kind of TV show or movie will keep you glued to your sofa. Imagine if your AI system can adjust your car’s temperature and turn off the lights when you take your car out of the garage. Improving the customer experience – AI can dig deep into details which human eye could probably miss and help you focus on the right data. For instance, RightClick.io is a chatbot that helps you create websites by involving you in a conversation. Even if you try to divert it with unrelated questions, this AI device will put you back to the actual job of website creation. Artificial Intelligence is transforming the way we create user experiences. While movies like Terminator have given us a dystopian idea of AI, the reality is totally distinct. AI is a powerful technology that positively influences consumer behavior and enables businesses to provide a great user experience. To begin with, let us look at a few real-life scenarios of how AI is impacting UX today. Context-intelligent chatbots can delight your customer with prompt and timely advice or workarounds. Navigational apps could direct you to your destination effortlessly. With a few taps/clicks, you will receive your favorite meal at your doorstep. The very thought of developing AI came from the idea of science fictions, that described of machines that could talk, think or feel. AI is a combination of several nascent technologies- machine learning, deep learning, chat bots, augmented reality, virtual reality, robots- to name a few. AI covers anything to do with infusing intelligence into machines/ devices so that they emulate the unique reasoning power of human beings. All of these can be accomplished by using algorithms that are capable of discovering human behavior patterns and generate insights from the data received and stored by the devices. Artificial Intelligence enabled devices or machines are programmed carefully so that they support in future decision-making. All this might sound simple, but these are interactions powered by the fast growing AI technology. In fact, when it comes to humanizing customer experience, AI will become an indispensable tool in a UX designer’s kit. However, besides architecting human-like conversations and actions, there is a lot more AI can do in the digital realm for generating outstanding UX. AI is going mainstream with bots and robots fostering human-like interactions with the power of cognitive intelligence. However, robots cannot replace humans completely. Instead, AI nurtures fruitful collaboration in the domain of UX. For example, TheGrid.io is an algorithm-driven design platform that lets you build highly impressive and optimized websites. The platform is built from the ground up around the concept of continuous A/B testing and refinement layouts. Designers can sift through the multiple options provided by such AI-driven tools and select what works for them. Like any good assistant, it usually does best when offering fresh options rather than making critical decisions. When designers have an intelligent platform to help them choose a template and verify the same by applying algorithms, it helps them to make more creative decisions. Companies like ReFUEL4 use the power of predictive analytics to understand the online journey of users and map them into segments based on their behavior. The most powerful UX is the one that understands and even predicts user interests and actions. Once the designer is able to map a user’s journey, he can understand the paths a user is expected to travel in course of their digital interactions. AI-powered journey mapping allows you to create simple, engaging, and profitable UI. In a multi-device world, designers often have to come up with many graphics and variations of content to cater to multiple forms of a campaign. This can be quite mind-numbing and demands a lot of time. That’s why platforms like Netflix hand over these tedious tasks to algorithms. Human designers can map out the ‘rules’ for how a layout should work and then provide the system with a library of raw graphic elements to work with. Netflix’s system is then capable of combining the rules with the image assets to create original movie poster and banner units. When AI handles such tasks, designers can focus more on understanding the user journey and refining these rules. It’s not unlike a scenario where a senior designer is directing a team of junior designers. Each benefits from the other. AI technologies like machine learning empowers digital marketers for granular targeting. For example, IBM’s Watson facilitates psychological user segmentation so that marketers can provide the right content to the right audience at the right time. Watson breaks down questions into different keywords or ‘sentences fragments’ in order to discover statistically related phrases. It not only creates a new algorithm for this operation but executes hundreds of analysis algorithms simultaneously. If more algorithms come up with the same answer independently, then Watson is more likely to be correct. Once Watson gets multiple solutions in hand, it verifies the potential workarounds against the database to ascertain if any of them makes sense. How do you mold AI for a better UX? AI systems have the ability to analyze large amounts of data quickly and also learn and adjust their behavior in real-time. AI systems can infer from the context and you need to supply them with additional information in the form of business rules, questions, metadata and similar other conditions. As you work through each design phase to build a great user experience, you can constantly refine the questions that you ask your AI system. This will change the way it analyzes data. How many people between the age 40-60 use your application? How many expecting moms access the system? The system takes your questions, analyzes the data and learns to throw up the best possible answers. Each time you feed a new data or criterion, the system conditions itself using AI technology to enhance your user experience. You can ask general to specific questions to your AI system. The system attends your questions, takes the data, and self-learns. AI can analyze all the queries made on your search engine, collect more user analytics, identify trends, and generate richer findings. Refine the quality of search results with data – AI can come up with better predictive search terms, provide recommendations, cross-topic referrals (similar to what Amazon offers), and bring more relevant content on top. Above all, AI learns from everyone who has visited your application till now and serves your users with needed content. This makes way for a richer user experience. Information Architecture with AI-AI analyzes both your internal and external data and helps you build information structure for your content management system and a navigation structure for your end users. User experience is not necessarily about leveraging data insights, it’s about intelligence too. Artificial intelligence connects the dots by infusing intelligence into the disparate sources of data. Though AI technologies like machine learning, chatbots, VR, robots, AR and other systems are gaining momentum, the growth seems to be gradual. AI, when combined with UX becomes the icon of the future technology. Merging AI with UX is a formula that should lead us to enhanced content findability and reachability. What Is Ethereum? Here’s What You Need To KnowArticle by King Passive Ethereum has taken the world by storm...but how does it work and why is it becoming so popular? This guide will teach you everything you need to know about Ethereum. 1. What is Ethereum?Ethereum can be thought of as a virtual supercomputer. 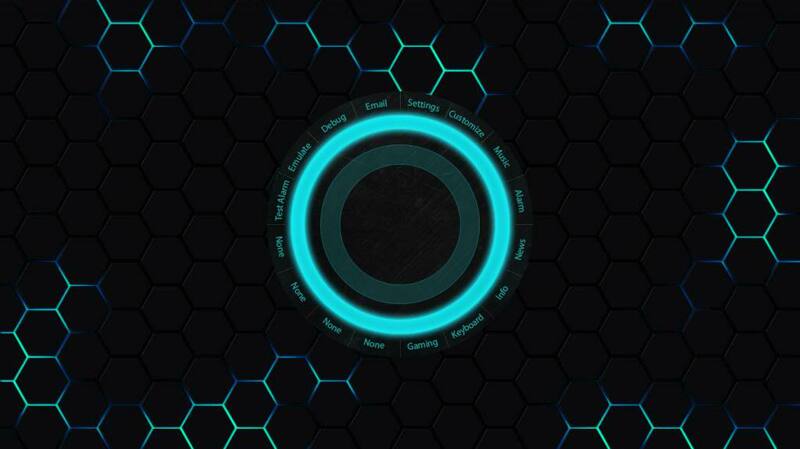 It's designed as a platform to host applications that can run without the need for human interference. These applications are called 'Decentralized Apps', and I'll explain how they work later in this guide. The cryptocurrency, Ether (usually referred to as Ethereum) is the currency or “utility token” that you pay to use this virtual network. Hackers use refrigerator in cyber attack!! Cyber footprint expands! Hackers have used a refrigerator to send spam emails in the first proven cyber attack of its kind. 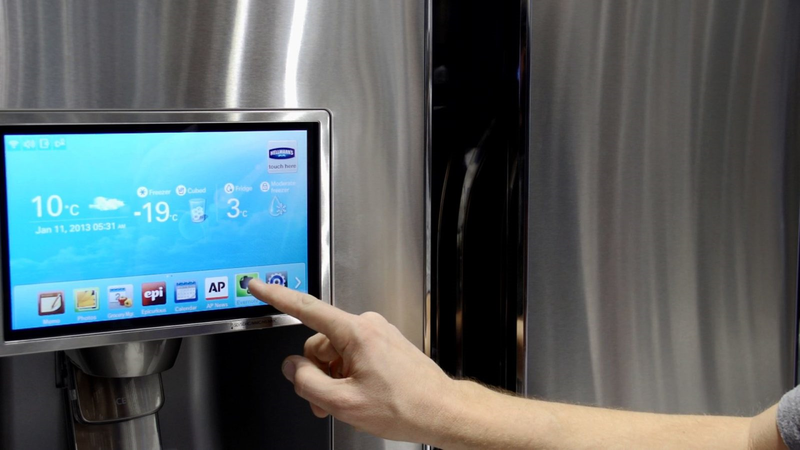 Internet-connected home appliances were infected by a large "botnet" over a two-week period from December 23, according to California security firm Proofpoint. It said hackers managed to penetrate home-networking routers, connected multimedia centers, televisions and at least one refrigerator to create a platform to deliver malicious spam or phishing emails. The firm said the case "has significant security implications for device owners and enterprise targets" because of massive growth expected in the use of smart and connected devices, from clothing to appliances. It said these appliances may become attractive targets for hackers because they often have less security than PCs or tablets. A side-channel attack on CSS could expose your personal data to malicious websites, unless you update your browser immediately. 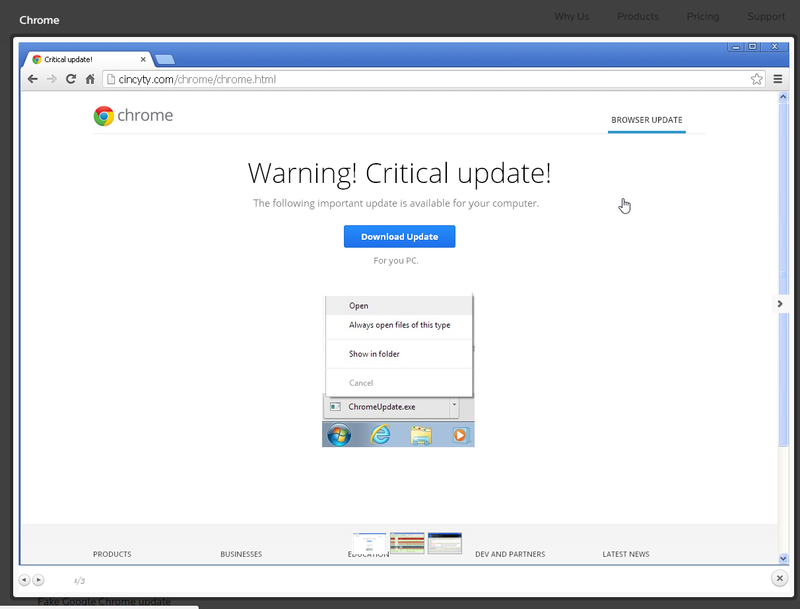 The bad guys have been working on social engineering end users with fake ‘Critical updates’ for all major web browsers. Last month, our friend Chris Boyd over at ThreatTrack Security discovered this new trend while it was still in its infancy (i.e. really terrible looking templates). A pair of independent security researchers has revealed a serious flaw in cascading style sheets (CSSes) that could leave private user data exposed to malicious websites. The exploit allows a malicious website to steal Facebook profile pictures, the name associated with a profile, and a full list of pages the user has liked, all without requiring any interaction from the victim.